We are starting a new tradition with a call making contest. This is a TWO PART contest. 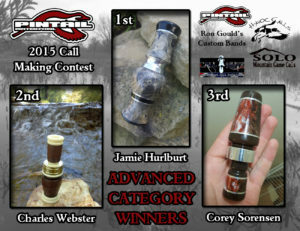 To Enter, email us a picture of your best call to Ryan@pintailwaterfowl.com, made using Pintail Waterfowl Acrylic Blanks. You need to include your name with the picture. We will post all of these to a folder on Pintail’s Facebook page. Entries must be received no later than midnight EST SEPTEMBER 30TH 2014. We will pick the top 5 calls entered to be semi finalists. Semi finalists will be chosen on October first and blanks sent out that week. Semi finalists will receive a free matched set of our choosing, to be made into a call for the finals. 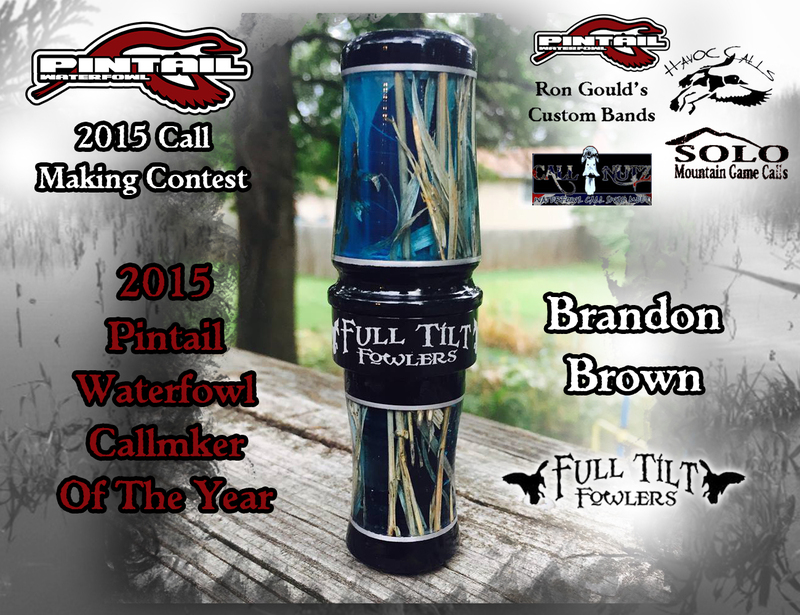 Rules for the finals calls will be, use the acrylic to make a call of your style and choosing. You may laminate it with other acrylic and other wood. You can make any type of waterfowl call you choose. 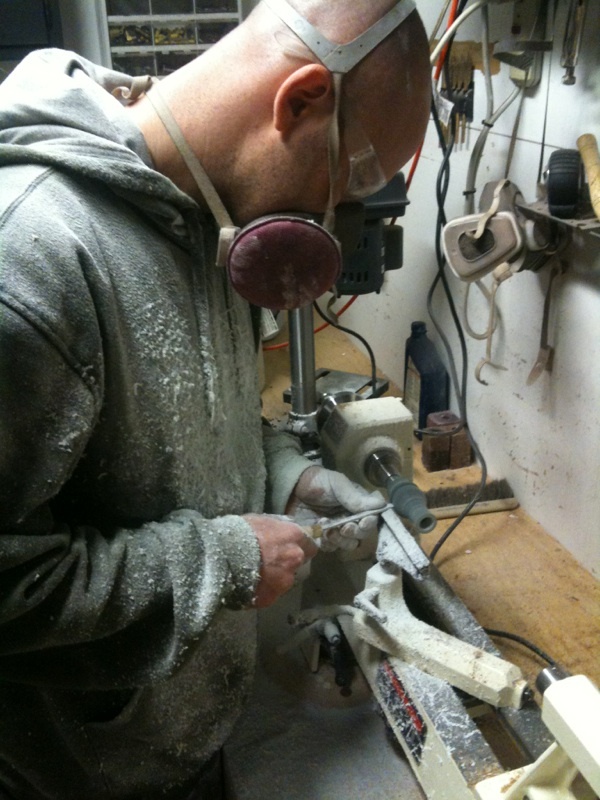 You do NOT have to use one of our jigs. You will need to send us your completed call and it needs to be be received by OCTOBER 31st (Halloween) and we will announce the winner on NOVEMBER 5th. 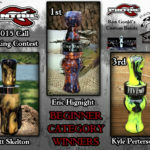 The calls will be auctioned off and all proceeds will be donated to a youth hunting group (to still be decided). 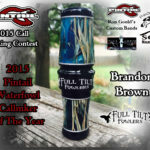 The final winner will receive a $100 Pintail Waterfowl gift certificates as well as some Pintail swag. 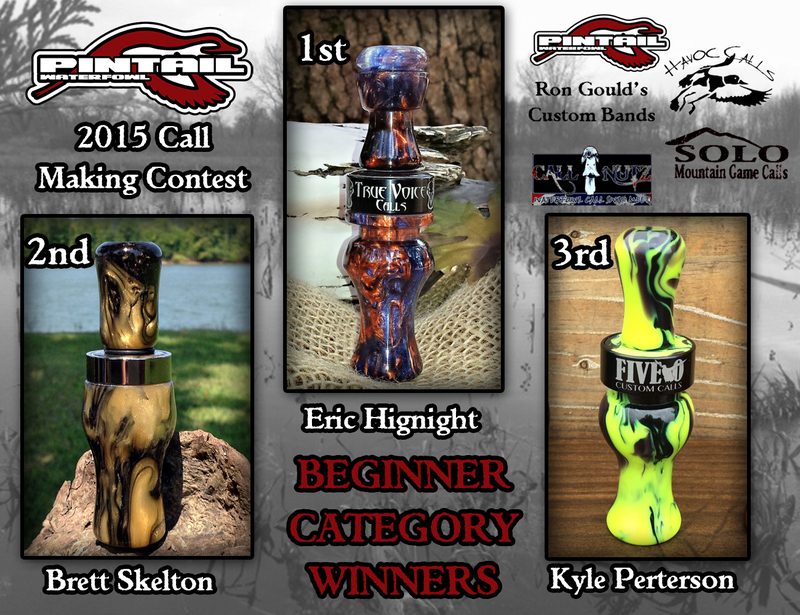 2nd-5th place will receive Pintail gift certificates in the amounts of $75, $50, $25, $25 respectively.